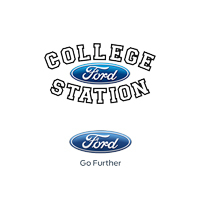 Finding the perfect vehicle can be tough, but College Station Ford can make it easier. Just ask any of our countless pleased customers we’ve helped from the greater Huntsville areas. Not only do we take pride knowing the ins and outs of our vehicles, but we offer online resources like our reviews and comparisons to help get you started on your new vehicle search. Read our side by side comparisons of these popular cars, trucks, and SUVs and finish your evaluation by taking a test drive with one of our highly knowledgeable vehicle specialists. We’ve studied our competitors and weighed them in a classic shootout. Read our comparison reviews of these new Fords available now to Edna drivers.